Middle Eastern conflict now has a new dimension; neocons may no longer have as free a hand as before. Minister of Defense Ursula von der Leyen told Der Spiegel that she welcomed president Putin’s intentions of joining the fight against the extremist organization “Islamic State.” “It would be a matter of mutual interests,” she said. A speaker of the Ministry of Foreign Affairs added, Germany would welcome additional efforts by Russia in the fight against IS. Foreign Minister Frank-Walter Steinmeier even announced the starting of a joint venture between him, Russian foreign minister Lavrov and their French colleague Laurent Fabius with the aim of bringing the Syrian civil war to an end. Lavrov and Fabius are expected to arrive in Berlin this Saturday. Russian Foreign Minister Sergey Lavrov called upon the US Ministry of Defense to coordinate their efforts with the Russian military. Because both sides are actively invested in Syria it would be paramount for the US to reinstate the previously ceased operational cooperation with Russia, said Lavrov on Friday in Moscow. This was intended to avoid “unintentional incidents.” and that Russia’s military drills in the Mediterranean would be in accordance with international law. Furthermore, Lavrov explained that Russia would keep delivering weapons to the troops of Syrian president Bashar al-Assad to support their struggle against the extremist organization of the Islamic State (IS). Russia already began a diplomatic offensive weeks ago. The Americans did not precisely indicate whether they would support the Russian initiative. Under no circumstances would the US give Russia credit for solving the deadlocked situation, should Russia in fact be successful. Therefore the US government warned precaution of a worsening in the refugee crisis should Russia intervene. The Neocons especially are issuing warnings of any cooperation with Russia in whatever matter. US President Obama did not clearly state whether the Russian initiative was done in coordination with the White House. Foreign Minister John Kerry went on a surprise visit to Russia earlier this spring which, however, remained without results regarding the Syrian matter. It is likely that the US government changed their mind in the face of worsening the refugee crisis, so that they are now willing to cooperate with Russia in the Middle East. 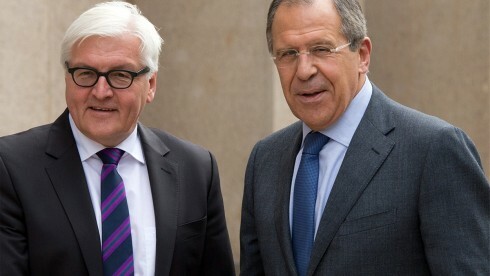 German Frank-Walter Steinmeier has long been trying to conciliate behind the curtains and is therefore constantly in touch with his Russian colleague Lavrov. It looks like he is the only one in the German government who realizes that the refugee crisis will get completely out of control if the war in the Middle East continues. Austria and Spain signaled days ago that a Russian participation in the battle against IS was crucial. Russia began expanding its military activities in Syria. German Minister of Defense Ursula von der Leyen wants to expand the deployment of the Bundeswehr in Iraq. The Bundeswehr would be ready to continue its successful work in Kurdish regions in cooperation with the Iraqi government, she told Der Spiegel on Saturday. The first steps would already be undertaken. Germany delivered medical supplies, helmets and hazard-protections masks. Up to 100 Bundeswehr soldiers are training Kurdish Peshmerga fighters in northern Iraq. Weapons were also delivered. Von-der Leyen also ordered thousands of German soldiers into readiness in the wake of the refugee crisis. It is still unknown if this was done because of the refugees or hints of terror threats. 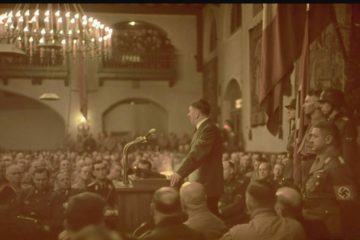 The order was given to the troops a day before, said a speaker of the ministry on Friday in response to a report by Der Spiegel. Up to 4000 soldiers are under constant readiness to be deployed. Hundreds of soldiers were deployed to help accommodate newly-arrived refugees last weekend. The solders are financially compensated for their services under this deployment order. It has been reported that Russian Foreign Minister Sergey Lavrov called into question the effectiveness of the US-led coalition against Islamic State (IS). According to PNP magazine, he stated that concerned colleagues from within the US-led coalition turned to him. They informed him that the US military did not give clearances to their fighter pilots even though they clearly located and identified Islamic State positions.